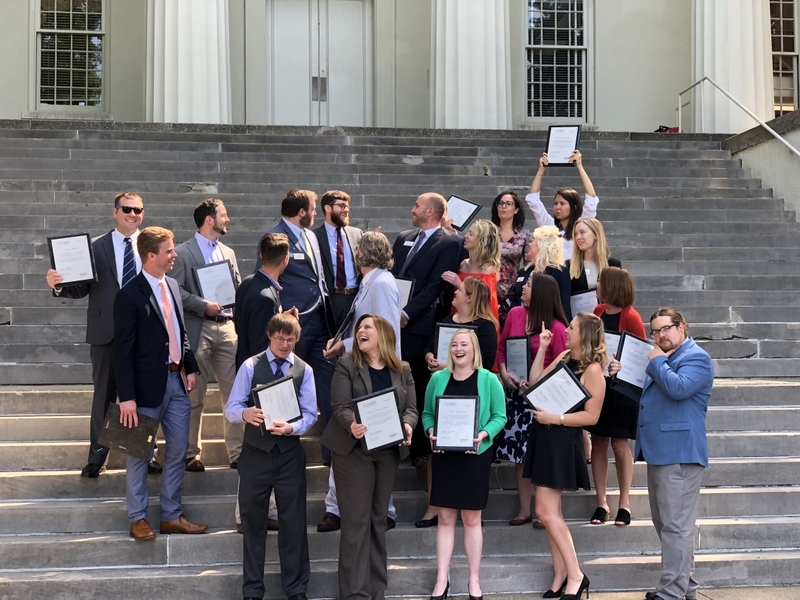 ELEVATE KENTUCKY offers young professionals in-depth personal and professional development while fostering a better understanding of challenges facing our Commonwealth. Elevate participants return to their companies with increased skills, knowledge, perspective, and a new statewide professional network. 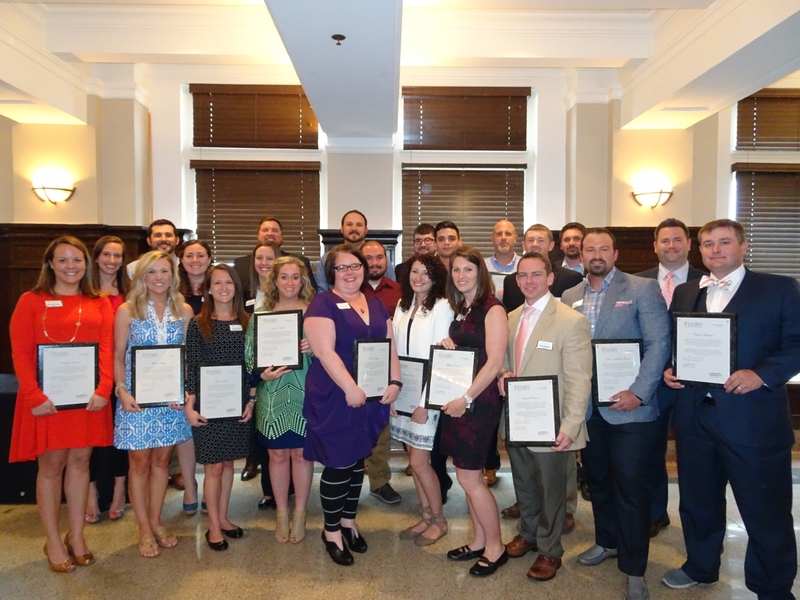 Millennial leaders are better prepared to be catalysts in their companies and communities in an effort to ELEVATE Kentucky. The application process for the Class of 2019 is closed. Please check back in the fall for applications for the Class of 2020! Fill out the application form fully and carefully. Be prepared to complete the form in one sitting - there are short essay questions involved. Please provide two references and upload a professional headshot at the end of the form. No attachments (i.e resumes, awards, etc.) will be accepted. After submitting your application, you will receive an online form link via email for your references to complete. Elevate Kentucky is designed for millennials and young professionals approximately 25-35, but there is not a strict age limit. We look for individuals who are not only advancing in their careers but also involved in their communities and eager to become a stronger leader. Sessions will provide skills and tools to advance your career, your company, and your community to the next level. *Dates and locations are being finalized and are subject to change. 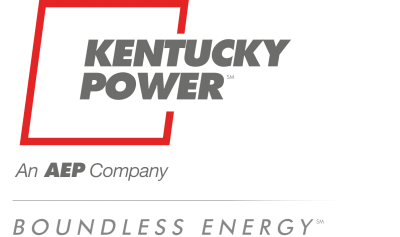 In Western Kentucky, there will be two overnight stays. These sessions will start mid-day on Wednesday, with a full day of programming on Thursday, and conclude mid-day on Friday. In Eastern and Central Kentucky, ELEVATE Kentucky will begin at lunch on Thursday, with programming in the afternoon and into the evening with dinner. The session will continue with additional programming the next morning and conclude mid-day. The tuition for ELEVATE Kentucky 2018 was $1,900. Tuition includes meals, lodging, and three action and information packed sessions. You will need to provide your transportation to the session locations. "I have learned so much about our state and the innovation and industry impacting our economy. The Owensboro session taught me to think about planning and development (streetscaping -who knew?!) The Morehead session made me proud of the impact leaders are making on their communities. The Lexington session impressed me with the quality of industry we have to offer. We have so many smart leaders!"